Omis is situated at the impressive mouth of Cetina river, and several miles upstream there are Radmanove mlinice (Radman's Mills), popular excursion site, favoured by many local people and tourists in Omis. Radmanove mlinice are connected to Omis by road , but visitors also find it interesting to get there by boat or fun train. 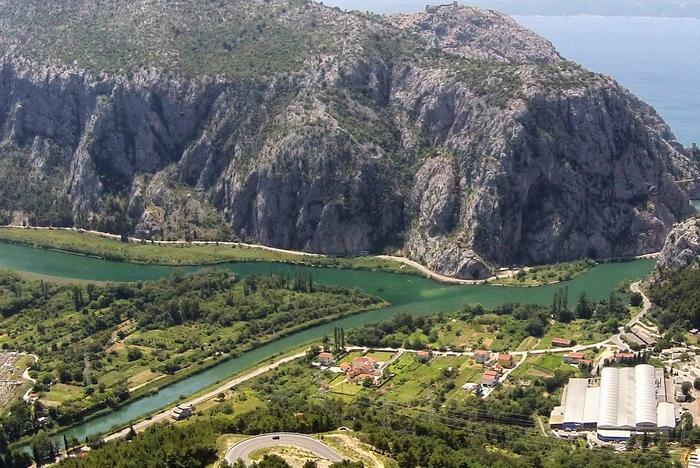 Omis is a starting point for those rides where guests enjoy the beauty of Cetina canyon. Radmanove mlinice are a green oasis with playgrounds and river beaches. There visitors can recreate and relax, and adventure lovers can enjoy canoe safari or rafting on Cetina streams. One also must not miss visiting a local restaurant there that offers delicious dishes of Omis regional cuisine. If the guests wish to "leave" Omis and spend an evening by the river, they will get the chance to learn about traditional Croatian culture as every Wednesday during summer, a local folklore group performs at Radmanove mlinice.